Sarah is an intensivist at the Alfred Hospital. Her interests include medical education, simulation and knowledge translation through FOAMed and social media. 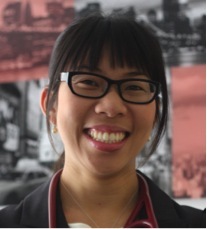 She is the new fellows CICMrepresentative and co-convenor and founder of the Women in Intensive Care Medicine Network, ACCCN/ANZICS Critical Care Collaborative and committee member of the Victorian Intensive Care Network.